Safe to talk was a non profit company which had a goal to make schools a safer place for Students. The students could go to the website or text a phone number to send anonymous tips. 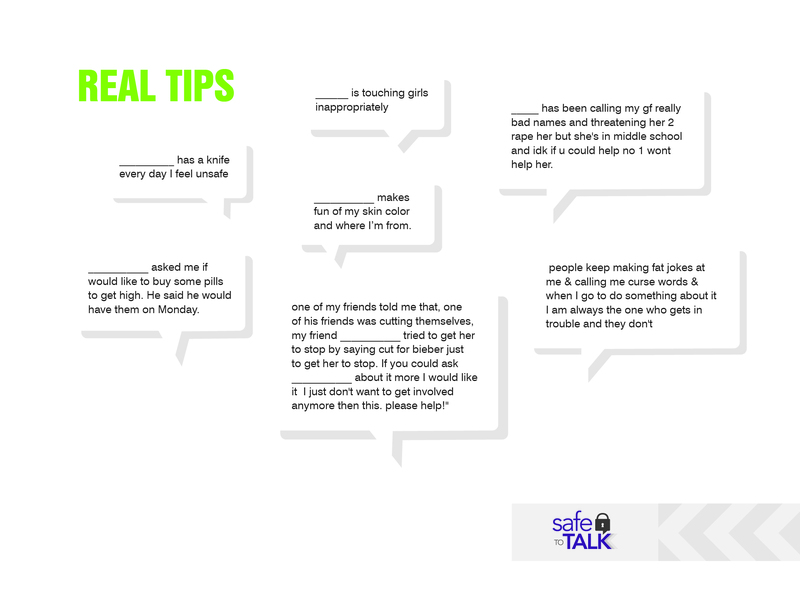 These tips could be about bullying behaviour from students to teachers or anything else wrong in the school. These tips would be sent immediately to school administrators for reviewal. The company came to our agency for branding and marketing materials. I started creating logo concepts to fit the voice and style the client wanted. I used modern color pallets, fonts and elements to create a brand which would reflect and connect with the nonprofits target demographic. For the final logo we used chevrons, purple and greens, talk icons with a key sign. The design of the website used those same design elements from the logo. We utilized the chevrons in patterns across the site as well as the colors and imagery. When developing the site I also had to work with a backend developer to create a system for the students to submit tips. I helped with the user experience of this system. 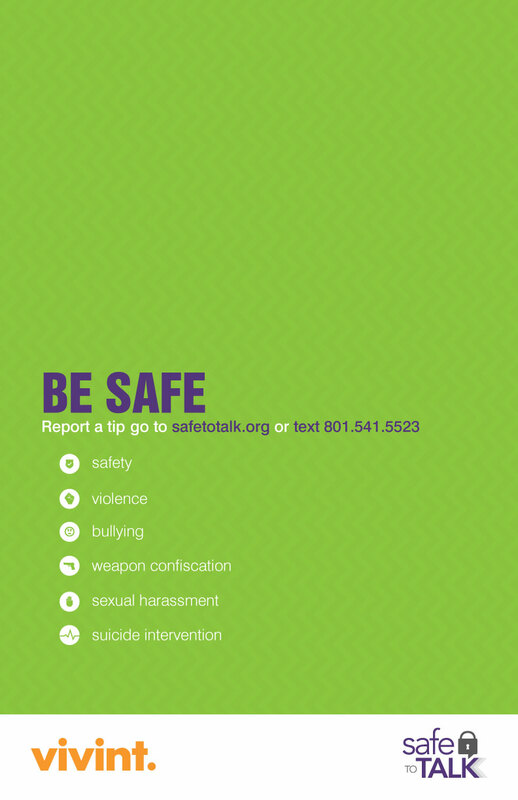 Along with the website and branding we created several powerpoints and posters for Safe to Talk to use for schools to use in order support their program. 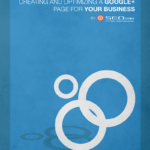 Those same design elements being used across the website we also utilized to produce that consistent brand identity.